Real-life Megatron, made in China. My jaws literally dropped when I saw this real-life Megatron from Micgadget. 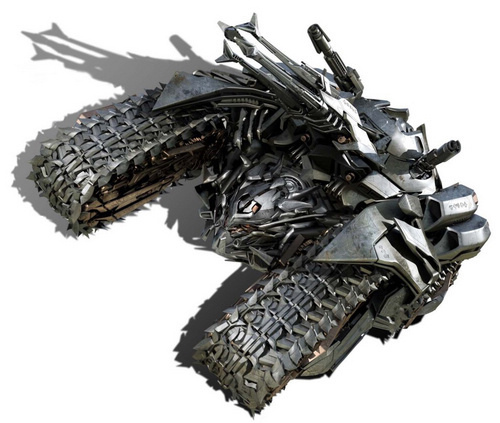 Transformers fans and geeks alike will surely be delighted with this masterpiece, constructed and designed by a Chinese designer who dubs himself the “Legendary Iron.” This work of art is 4.5 meters long, 3.2 meters wide, 2.5 meters high, and weighs 5 tons. We have no clue what he plans on doing with this massive display but it would surely be amazing to see in real life. Here are more pictures to drool over. Knock yourselves out.